Being home for the holidays is all about good eats. So I’m about to share with you one of my most favorite recipes of allll time. If you know me, you’ll have already guessed it involves something savory, something saucy and almost always something paired with rice. YUM. Step 1: Mince the ginger and garlic. 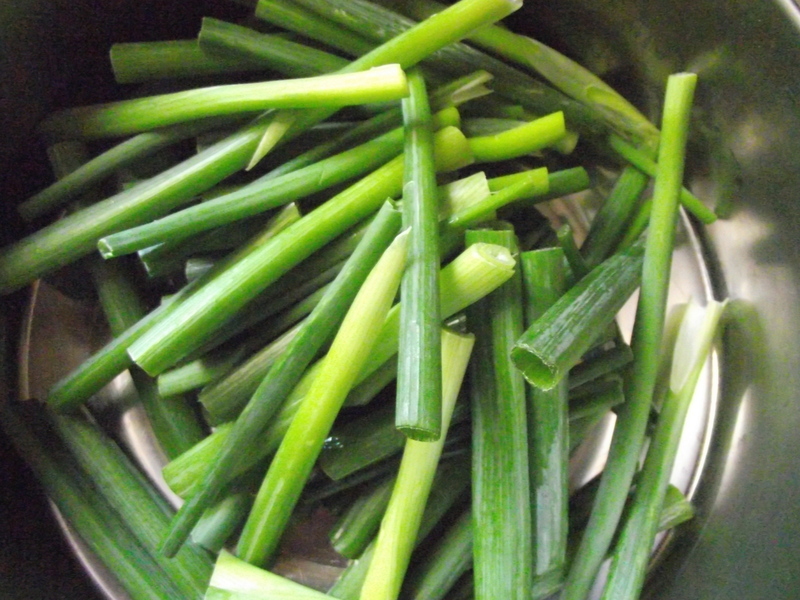 Give the green onions a good wash and strip off the first layer of green stalks. 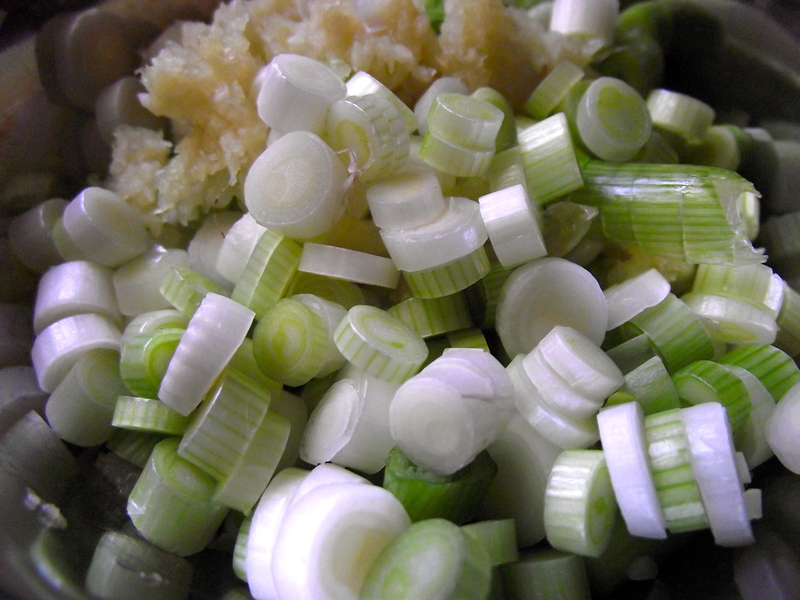 Chop the bottom half of the green onions and discard the roots. Save the top half for later. Step 3: Slice the flank steak against the grain into bite size strips, about ¼ of an inch thick. Many grocers sell pre-cut flank steaks and many of them will slice it thin for you too if it doesn’t come pre-sliced (in case you’re not that comfortable with a knife just yet). Step 4: Coat the sliced flank steaks with cornstarch. 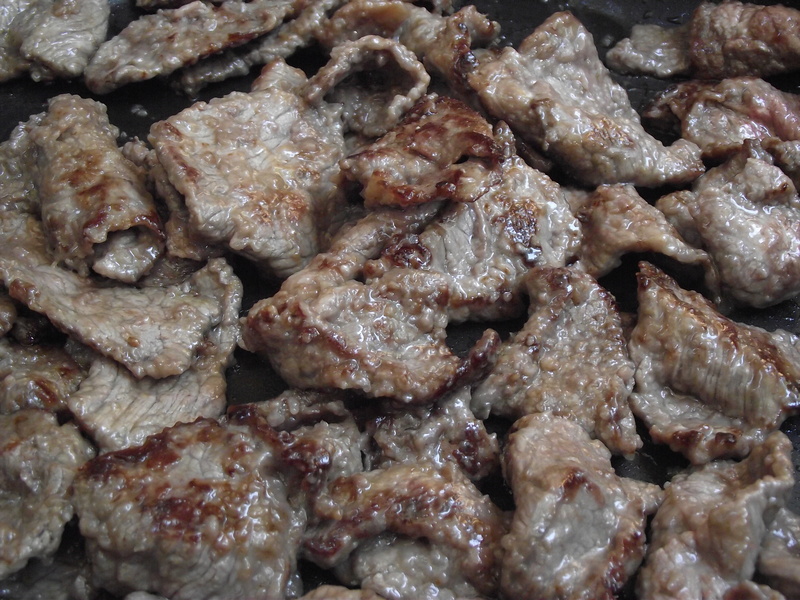 Have two separate plates, one filled with cornstarch, another to place your coated steaks. Coat them lightly – overdusting can make the sauce too thick. Let the steaks sit for about 10 minutes. Step 5: While waiting for the steak, make the sauce. 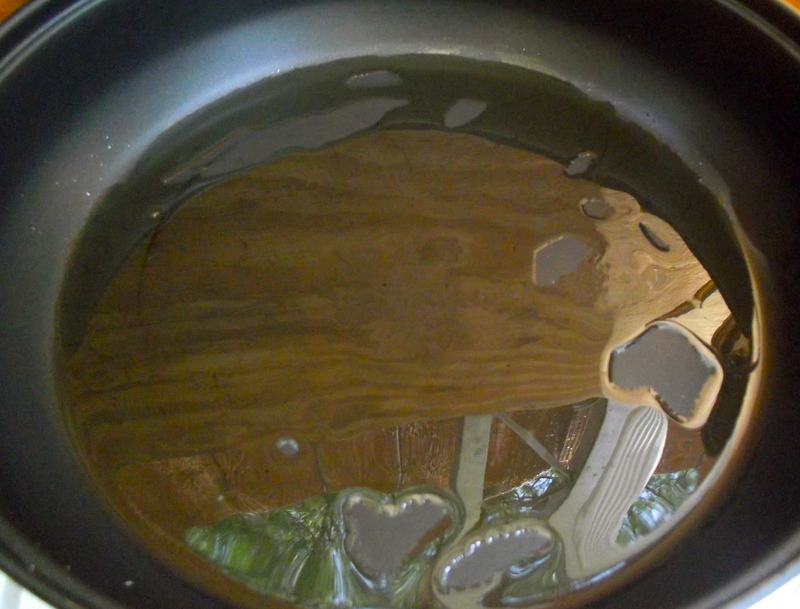 In a large pot on medium heat, pour enough veggie oil to cover the bottom. When hot, sauté the ginger, garlic and onions. OH how good this part smells. Step 6: When the onions are cooked, add the soy sauce and water. Add the brown sugar last and stir until all the sugar is dissolved. 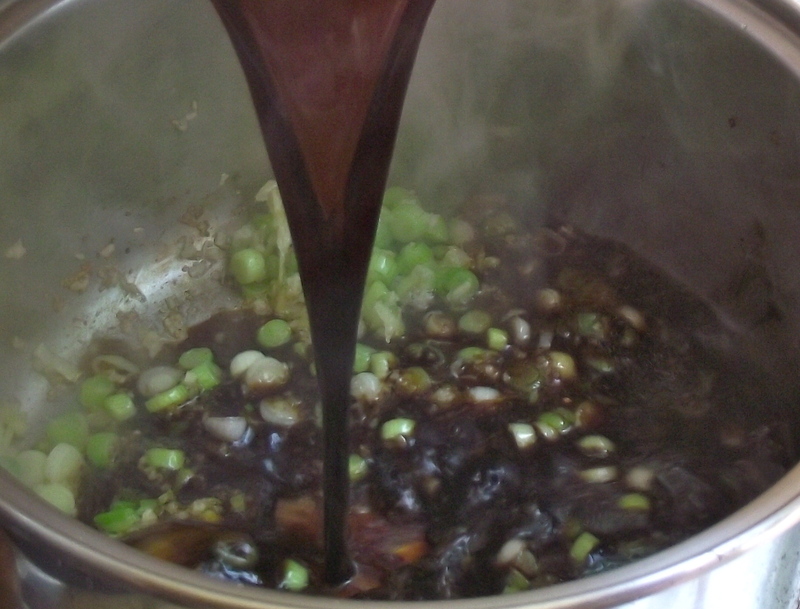 Bring the heat up to high and allow the sauce to boil for about 2-3 minutes or until the sauce thickens. Lower the heat down to medium-low. 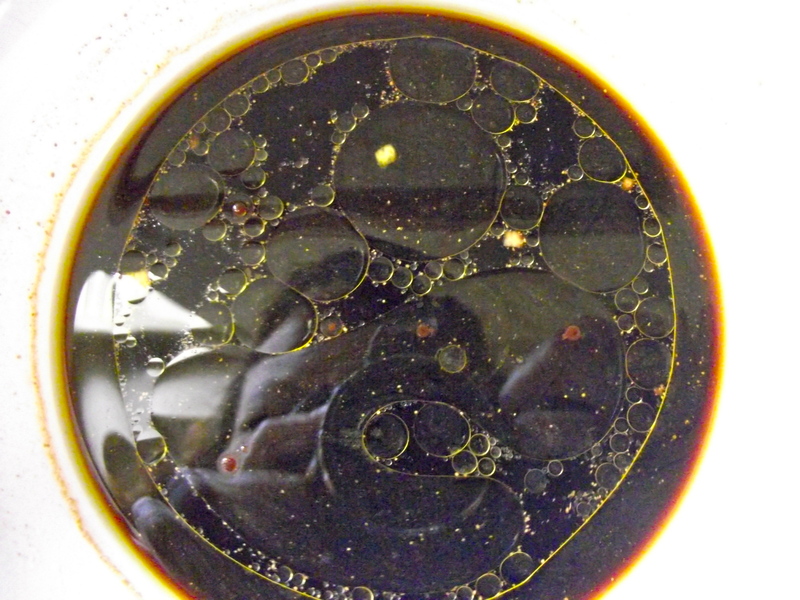 Step 7: In a separate frying pan, or wok, pour about ½ to a cup of veggie oil. When the oil is hot, add the steak and sauté for about 3 minutes or until the beef starts to get that niiice brown seared color. Searing makes everything delicious. It’s what makes the world go round. 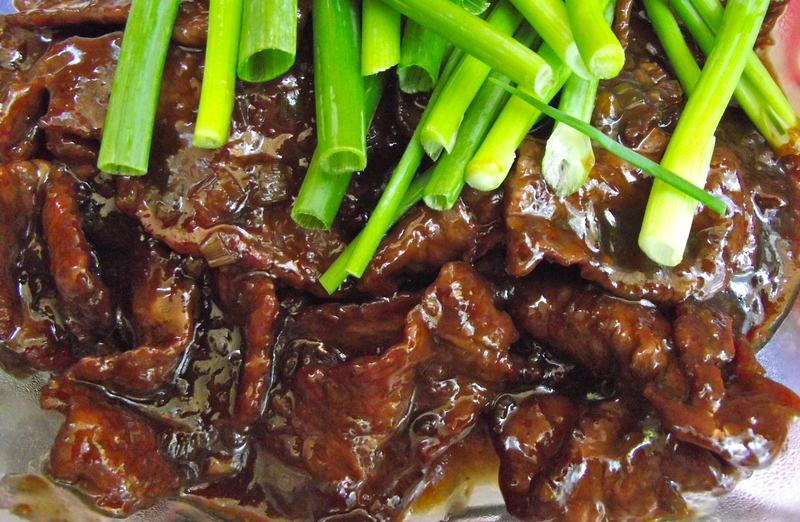 You don’t need to cook it all the way in this step since we’re going to dunk the steaks into the sauce. Just about done!! They’re absolutely dying to take a dive any minute now. 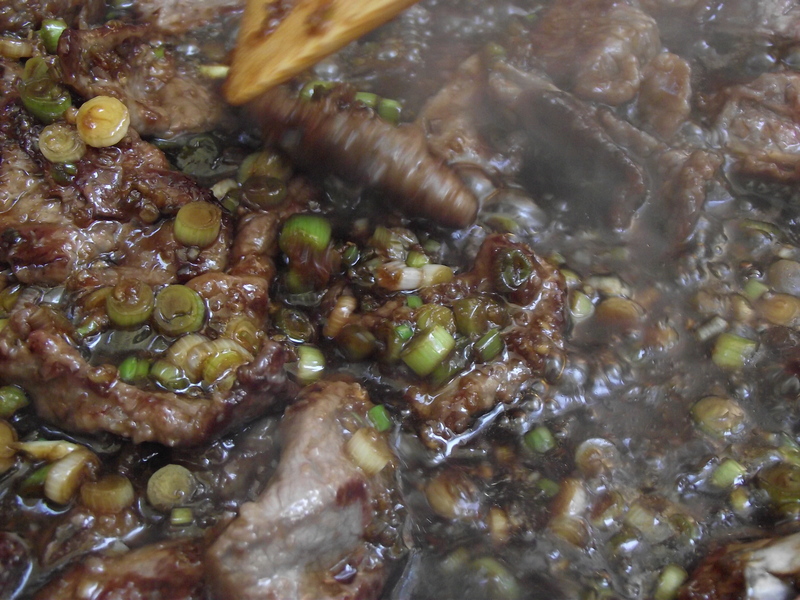 Step 8: Using a slotted spoon, scoop out the steak and add it to the pot with the sauce. 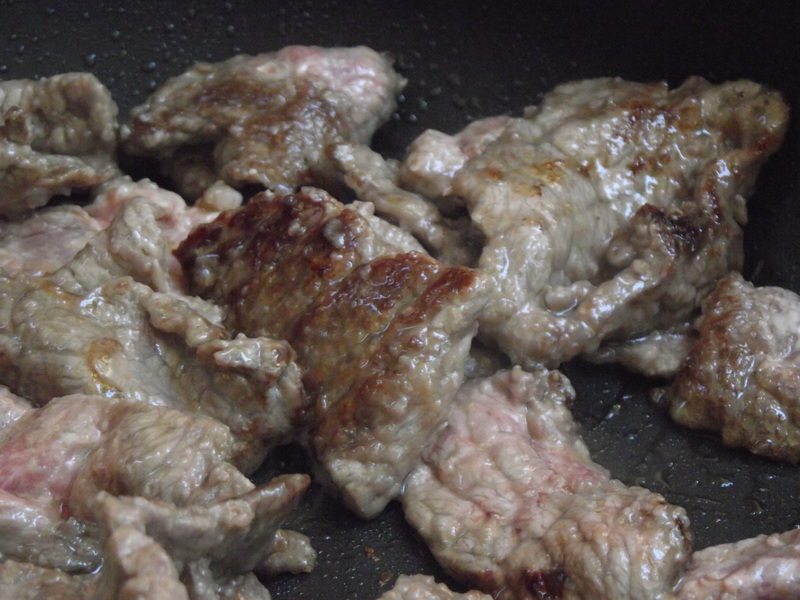 Let the steak simmer in the sauce until it is cooked through. 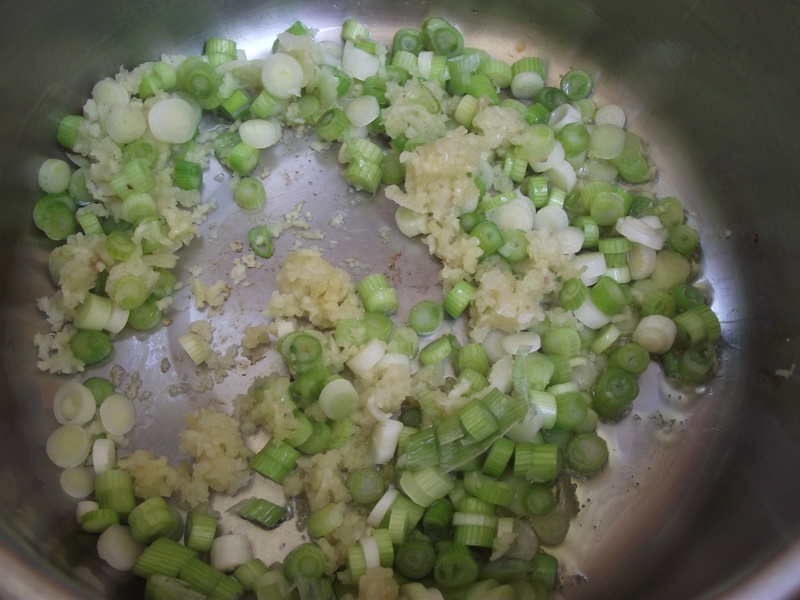 Add the remaining green onions or serve it on top as a garnish. Step 9: Serve with jasmine rice. Forget about leftovers. If you’re planning on saving some for yourself tomorrow, better put some aside before the guests dig in! Each time I’ve made this for guests, I never once found the need for tupperware. The PF Chang’s recipe is just that good, ugh! I’d also recommend a side of steamed veggies like broccoli or carrots to go with. I’ll probably end up making this for our new year’s eve potluck party. Hope you’re having a great holiday with your friends and family! 2011 is just around the corner!!! I just got ridiculously hungry. I always love your cooking! Thank you, Amy! And I love cooking with you (miss it too). Yum, I’m making this dish this week! 🙂 Thanks for the recipe! I cooked this recipe today. It is DELICIOUS. Thanks for sharing.